Scotland has some of the finest scenery in the world and many of its lighthouses form a part of this, some others are works of art in there own right. These and much more come under the control of the Northern Lighthouse Board, whose most famous engineers were the Stevenson family. The Northern Lighthouse Board is the General Lighthouse Authority for the waters surrounding Scotland and the Isle of Man. It is the equivalent of Trinity House covering England, Wales and the Channel Isles or Commissioners of Irish Lights covering Ireland. of the areas have challenging sea conditions for much of the year. This includes 6,214 miles (10,000km) of coastline and around 790 islands. The majority of the aids to navigation, such as lights, buoys and beacons, are provided by harbour authorities and other local bodies under the supervision of the Northern Lighthouse board, but most outside the harbour limits it provides directly, they say this includes 208 lighthouses, 165 Buoys, 34 Beacons, 8 AIS Stations, 4 DGPS Stations, 27 Racons plus in cooperation with other General Lighthouse Authority's they operate a GLA Loran Station. All of which has to be kept in serviceable condition. Technology is offering them, like others, many opportunities and they are making considerable achievements due to this. All major lighthouses were automated by 31 March 1998, and the conversion of all its statutory lit buoyage to solar power was accomplished in 1997. The joint General Lighthouse Authorities' policy is based on the continuing requirement for the foreseeable future for a base-level of traditional visual aids to navigation, in the form of lights, beacons and buoyage, but a decreasing reliance of these "traditional" aids to navigation and an increasing reliance on high precision radio aids. Inline with others they will be decommissioning many of the existing lighthouses and other aids over time. 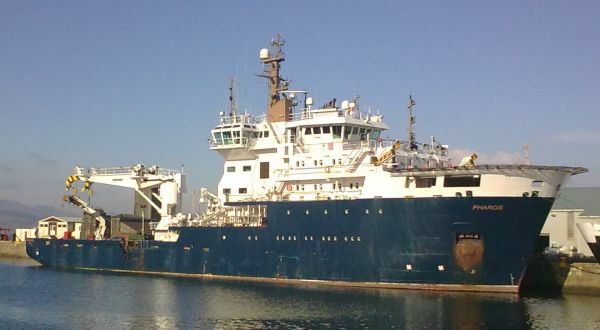 Funding comes largely from 'Light Dues' levied on commercial vessels calling at ports in the British Isles and Republic of Ireland ports, these are explained in the Trinity House article. There is only one fund and its shared out between the various lighting authorities, and possibly others. A Letter of Comfort relating to pension liabilities has been provided. The Secretary of State for Transport has a duty to ensure the effective management of the GLF and enable the adequate provision of aids to navigation at the minimum cost. Otherwise its gets no direct state funding. The Merchant Shipping and Maritime Safety Act 1977 permitted the Northern Lighthouse Board to market spare capacity and facilities to commercial clients. They have a long list of commercial and support services available today. Today the Commissioners of the Northern Lighthouse Board consists of the Lord Advocate and the Solicitor General for Scotland, the Lords Provost of Edinburgh, Glasgow and Aberdeen, and the conveners of the Councils for Highland, and Argyll and Bute, the Sheriffs Principal of all the sheriffdoms in Scotland, a person nominated by the Lieutenant Governor of the Isle of Man and appointed by the Secretary of State, and up to 5 co-opted Commissioners. Loads of information is online, including the Commissioners Handbook and minutes of meetings. To deliver a reliable, efficient and cost-effective network of Aids to Navigation for the benefit and safety of all Mariners. Their main base is in Edinburgh, and everything is monitored from there, they have technicians based in Edinburgh, Oban, Orkney and Shetland. They have a base at Oban on the West Coast of Scotland, and have had since since 1904. In 2000 it underwent a £4.2 million redevelopment to turn a buoy yard into a multi functional support base. The facilities include berthing ships, landing and refuelling helicopters, maintaining, painting and repairing buoys, engineering support and project mobilisation. It also houses their Engineering Support and Test Facility. There are two ensigns or flags an ensign for the organisation and a Commissioners' Flag. The ensign is a Blue Ensign with a white lighthouse in the fly, and is for general use. The Commissioners' Flag, a plain White Ensign with a pre-1801 Union Flag in the canton, and a blue lighthouse in the fly, is the only British flag to still use the pre-1801 Union Flag. This flag is only flown from vessels with Commissioners aboard. The Board HQ flies the Commissioner's Flag, alongside the Saltire and the Isle of Man flag. Shown on a grey background so the white flag shows up. While the English equivalent, Trinity House, came about by converting an existing charitable group by an early Royal Charter, and then had other charters before the modern era, the Northern Lighting board was set up by and is much closer to the government. "it would conduce greatly to the security of navigation and the fisheries if four lighthouses were erected in the northern parts of Great Britain". The Act gave the Commissioners the necessary powers to purchase land, levy dues and borrow funds. Further legislation widened the Commissioners' powers and they were given the power to erect lighthouses on the Isle of Man in 1854. The Commissioners were incorporated by Act of Parliament in 1798 under the title "The Commissioners of the Northern Lighthouses". 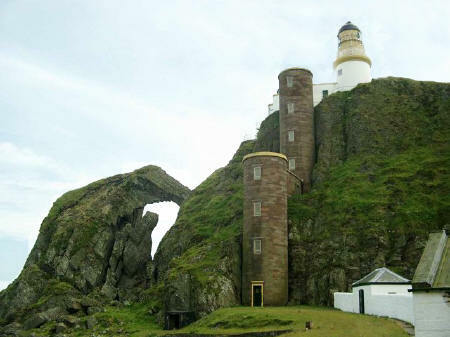 This title was altered to its present form by the Merchant Shipping Act 1853.
appointed as the General Lighthouse Authority for Scotland and adjacent seas and islands and the Isle of Man. vested with responsibility for the superintendence and management of all lighthouses, buoys and beacons. gave them Wreck Removal powers. Theses areas were not devolved to the Scottish Assembly, and under the Scotland Act 1998 are reserved so the Board's affairs will continue to be subject to legislation passed by the United Kingdom Parliament. Ministerial responsibility will remain with the Department for Transport. The Commissioners' most famous engineer was Robert Stevenson, whose sons David, Alan, and Thomas followed their father into the profession. The Stevenson dynasty built the majority of the Northern lights, in some exceptionally challenging locations. Their lights were some of the engineering masterpieces of their time.